A wintertime view of the the Shusse Inari Jinja from the Izumo region of Shimane, Japan. In Japan, during the first days of the new year, people flock to visit Shinto shrines to pray for happiness and good luck in the new year. There are few permanent Shinto shrines in Los Angeles, but on Jan. 1, a temporary one will be set up in Little Tokyo. Visitors to Little Tokyo on Thursday are invited to come and pray, and experience a Japanese-style new year. 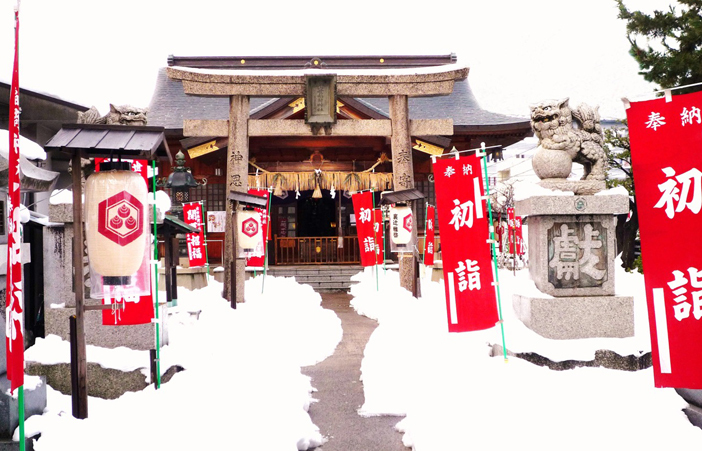 In conjunction with the Oshogatsu in Little Tokyo celebrations on Jan. 1, representatives of the Shusse Inari Jinja from the Izumo region of Shimane will set up a miniature shrine and hold the Saitan Sai ceremony, which celebrates and prays for happiness in the new year. In addition, Shinto items such as good luck charms, bamboo rakes, decorative arrows and more will be available for purchase. Visitors will feel like they are visiting Japan as they observe Saitan Sai, which also prays for huge harvests. The ceremony begins at 11:15 a.m. on Astronaut Ellison S. Onizuka Street, near Weller Court in Little Tokyo. Sales begin promptly after the service, at approximately 11:45 a.m.